On the afternoon of November 20, Xu Jianhua and his party visited National Chiao Tung University and attended the Cross-Straits Bioindustry Cooperation Summit Forum & Signing Ceremony themed with Dongguan Biotech and Hukuibio Smart Cooperation. At the Forum, two projects were signed under Guanrong Program proposed by Honorary Vice Chairman Xuan Mingzhi of UMC Group. Dongguan City Biotech Industry Development Co., Ltd. entered into an agreement with Hukuibio and MiiS respectively, marking an important step forward of Guanrong Program. Xuan Mingzhi put forward the conception of Guanrong Program this September. Based on the distinguished alumni of National Chiao Tung University, famous Taiwan figures in the industry were invited to establish a platform transfer company to help Dongguan introduce quality Taiwan biotech enterprises, so as to quickly build a globally leading innovative biotech industry cluster. According to Guanrong Program, 20 well-established biotech enterprises will be first introduced into Songshan Lake High-tech Zone, and expected to generate the operating revenue of RMB 1.2 billion after three years. By far, two Taiwan biotech enterprises have joined the platform. A high-end biotech industry transfer and exchange platform between Dongguan and Taiwan, Guanrong Program is designed to draw quality Taiwan biotech enterprises to Songshan Lake, greatly complete the biotech industry chain, and help Dongguan quickly rise as a domestically famous Cross-Straits Industry Cooperation Demonstration Park. Investment attraction activities will be accelerated as well to establish a Cross-Straits cooperation model at a higher level, a wider scope and a greater depth. This trip to Taiwan has appealed to a number of quality potential projects. In addition to MiiS, 6 companies presented their projects to show a keen interest in cooperation and intent to join Guanrong program at the forum, laying a good foundation for future investment attraction. Meanwhile, Songshan Lake High-tech Zone signed Student Grant Agreement with National Chiao Tung University and the grant-aided students, further deepening the talent cooperation between Songshan Lake High-tech Zone and National Chiao Tung University. Under this three-party agreement, talents will be provided for the development of biopharmaceutical and other industries in Songshan Lake, marking Dongguan and Taiwan talent cooperation at a greater depth. President Wu Yanhua of National Chiao Tung University revealed that the biotech industry is a promising emerging industry, and the Chinese mainland has become the world s third largest pharmaceutical market and the most important export market of Taiwan s biotech industry. The deep cooperation foundation between Dongguan and Taiwan has made Dongguan the first choice of Taiwan biotech industry entering the Chinese mainland. This agreement between Dongguan Biotech and Hukuibio is a win-win result of mutual assistance. Xu Jianhua pointed out that the Cross-Straits Biotech Industry Cooperation Base established in Dongguan in 2012 has won vigorous support of the state, city and province. 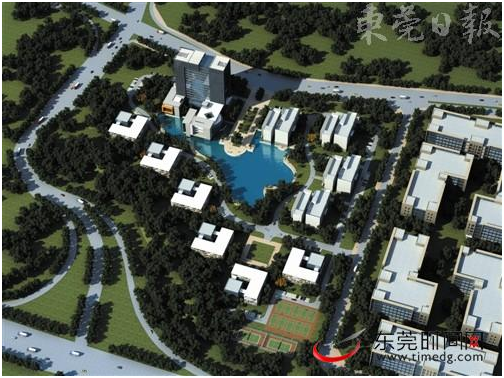 Against land shortage, Dongguan has managed to provide 8,222 mu of land for the development of the industry. An important strategic platform attached with great importance by the city and province, the Base is positioned as a cluster of major biotech projects, a key demonstration zone of biotech development and industrialization, a major platform of biotech foreign cooperation in Guangdong Province. Centering on bio-pharmaceuticals, the Base is planned to focus on the development of new drugs and biological generic drugs, advanced medical instruments and equipment, gene industry, TCM, health industry and biological service industry. As the key promoter of the Base, Songshan Lake has gathered such biotech colleges and research institutes as Guangdong Medical College, Mathematical Engineering Academy of Chinese Medicine and Maritime Biotech Research Base of Sun Yat-sen University, and such biotech enterprises like HEC Pharm, Handsome Biological Technology and Hongshanhu. A complete industry chain has been formed. Construction of the three biological innovation parks in the Base SCIPROGEN Bio-Pharmaceutical, Kaisite Medical Catheter and Huanan Pharmacy Industry Incubation Center have been started.